The all new iMBAPrice Poly bubble mailers reinforced using the newest sealing technology avail in the market. 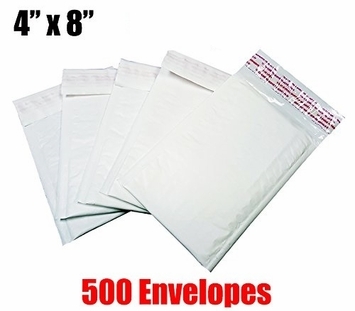 Our bubble mailers are not only thinner to help save space and weight but the durability of the bubble is superior to our older version. Our height of the bubble mailer has been decreased about 1/3 in comparison to the older one and the bubble resistance/strength is 200%+ More durable. With these new barrier bubble and pure white outside poly, you can assure your customers receive this in an very classy manner. Less popped bubbles and an cleaner looking package on arrival. 100% Satisfaction guaranteed from your vendor!